Welcome to the new website﻿ and meet the new owners! The Winehound has been purchased by two gentlemen who possess deep connections (and longtime residence) in Santa Barbara, and exhibit voluminous wine knowledge, along with the requisite fervor for all things oenological. Yes, they adore good vino, are adept at choosing it, and will definitely be excited to tell you all about it. 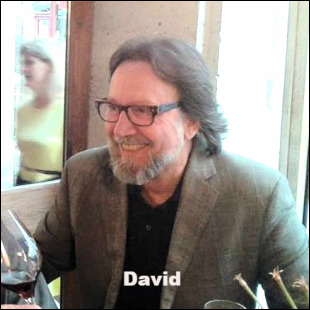 David Russell was the Wine Director at the Wine Cask from 1988 until 1999 and created a wine list which garnered the Wine Spectator’s prestigious (and highest) “Grand Award” in 1994. Before his recent return to Santa Barbara, Russell worked in Los Angeles and the San Francisco Bay Area, bringing his customers the finest that the old world has to offer. Richard Heilman, like David, has a background of more than 30 years in the wine industry, accumulating experience in all sectors. He began his career in retail, as manager and wine buyer for the Pierre Lafond store on the Mesa. Subsequently, he moved into the wholesale, importation, and production sides of the business. “David and I hope to use our combined experience to not only honor the loyal customers and fine traditions established at The Winehound, but also to add a new dynamic to both the selections and service,” Heilman said.